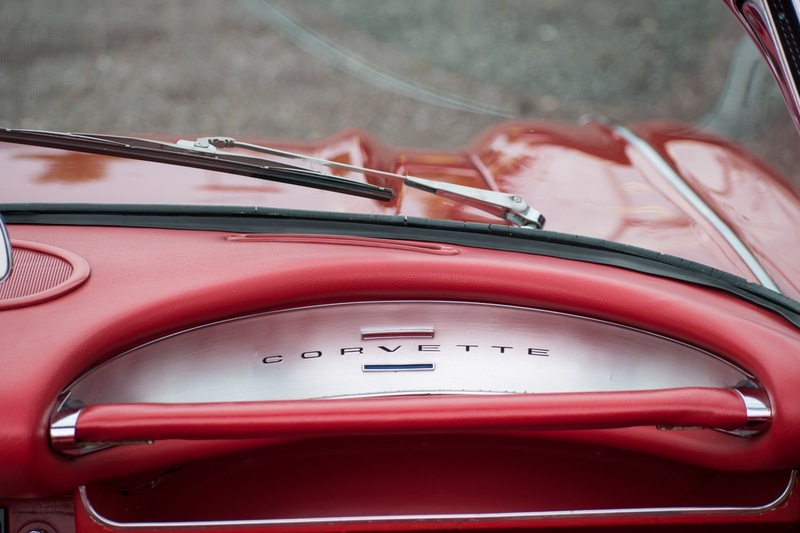 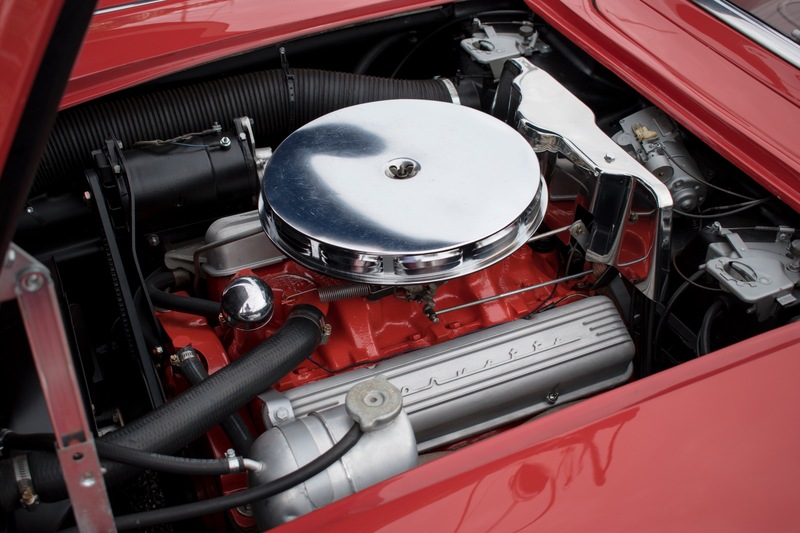 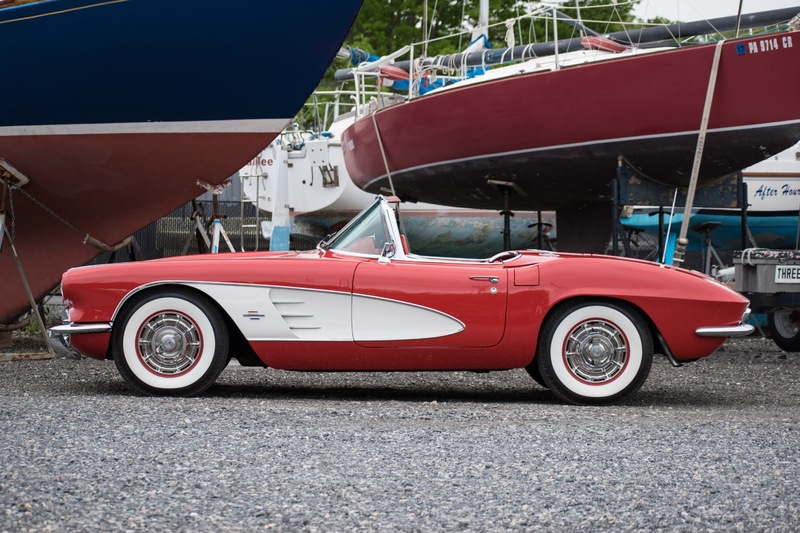 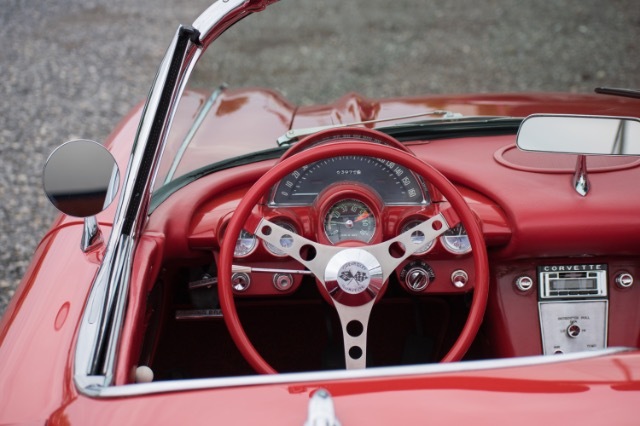 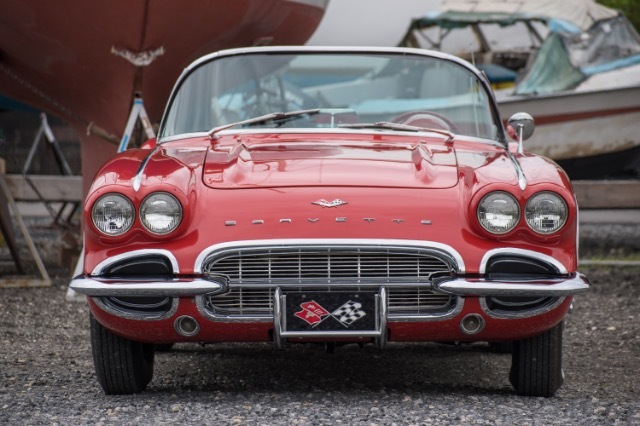 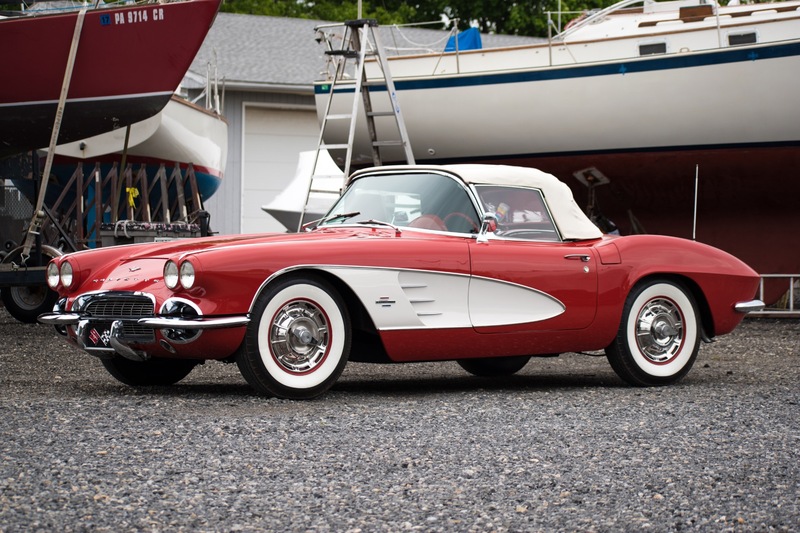 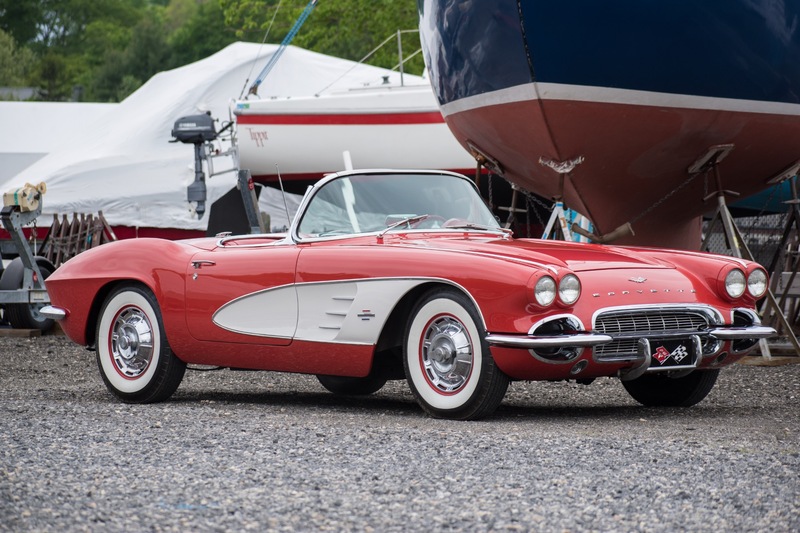 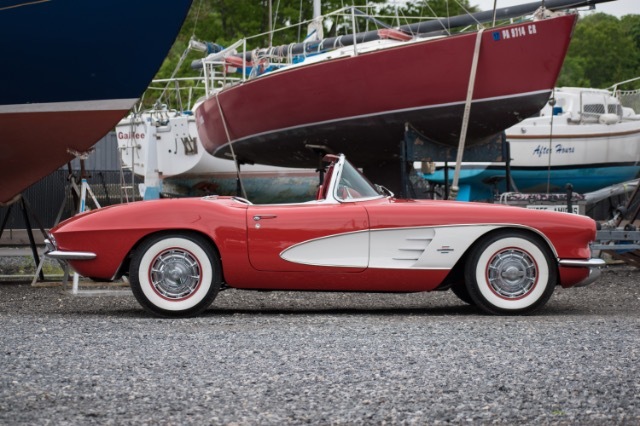 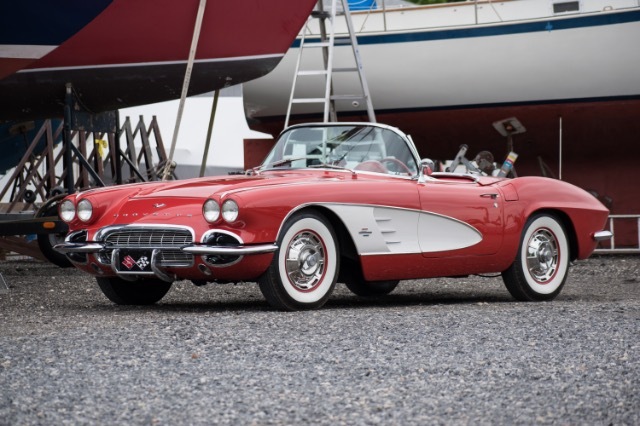 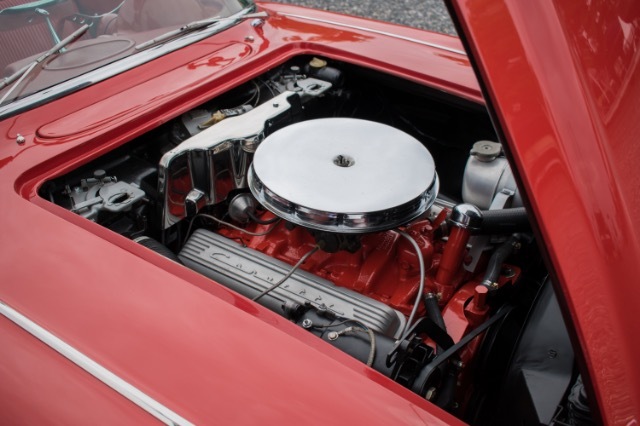 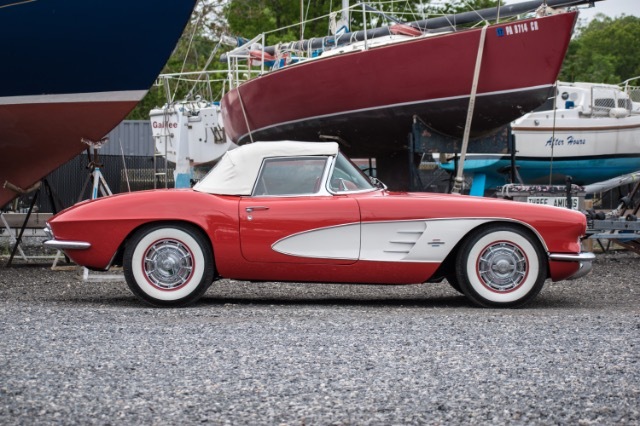 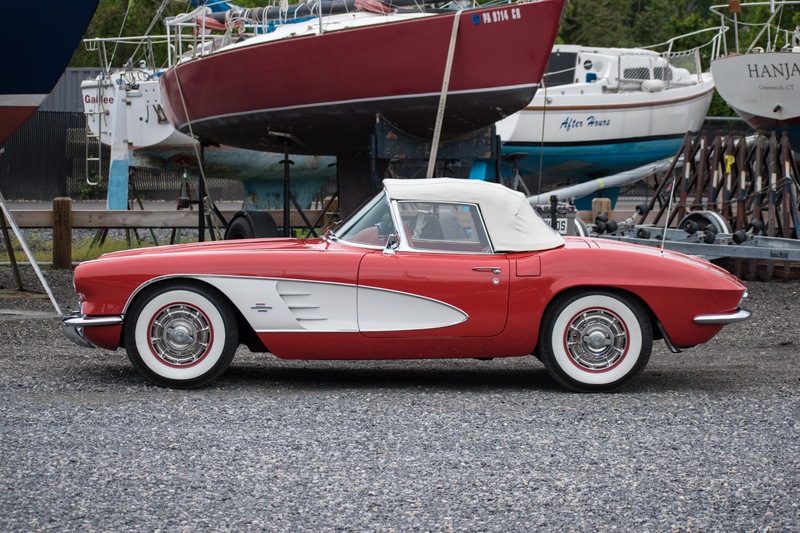 Now available at Carriage House Motor Cars is this fully restored 1961 Chevrolet Corvette. 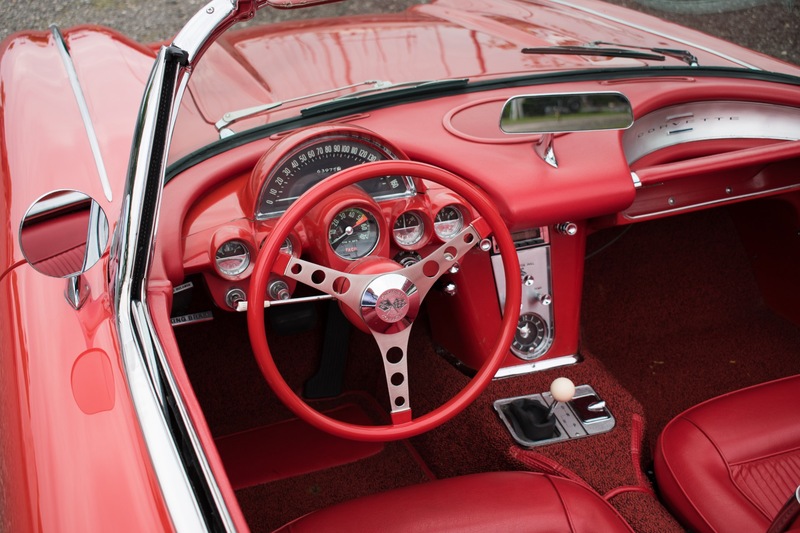 Finished in Roman Red with Red interior, this car is sporting its factory 230HP V8 and its original Automatic Transmission. 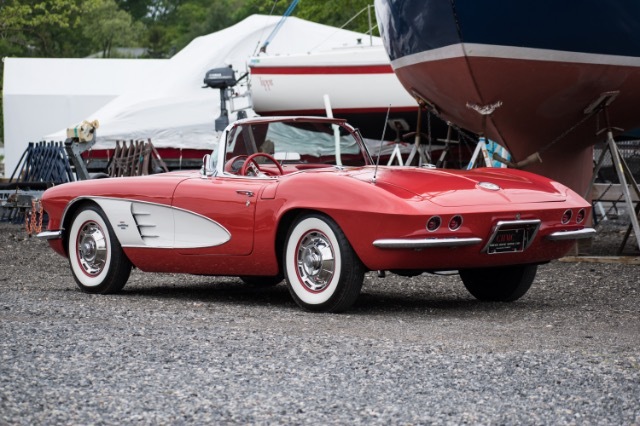 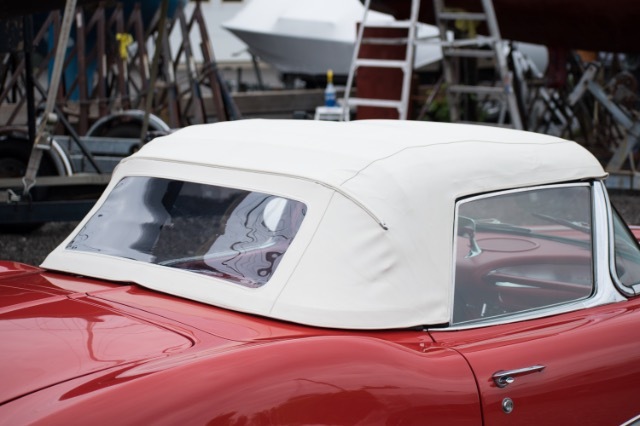 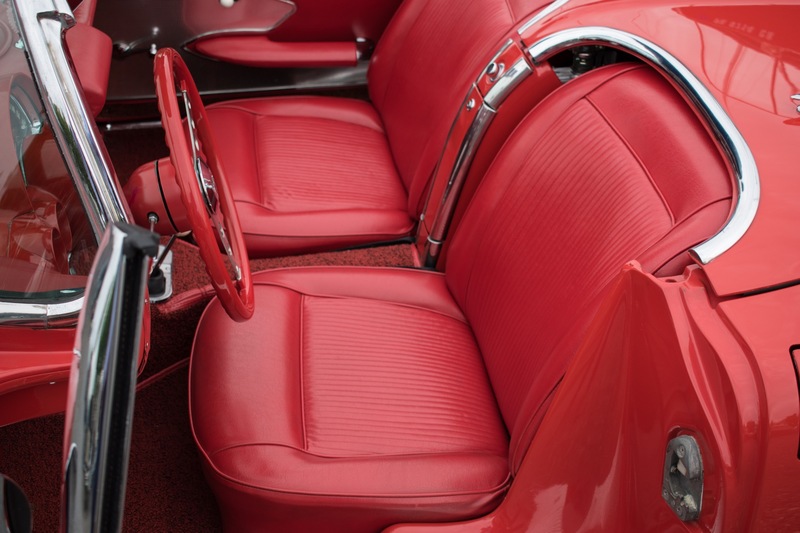 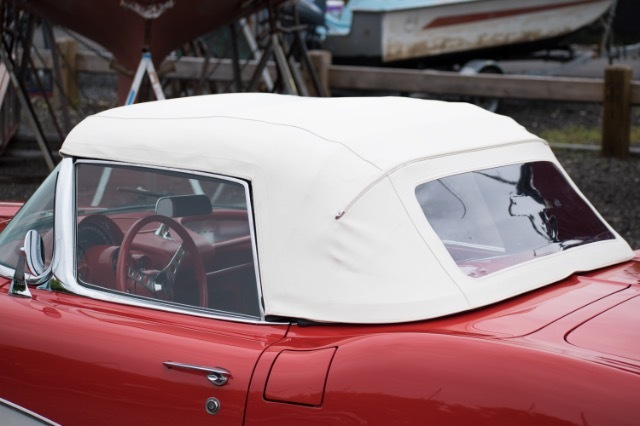 This car was fully restored to a high standard with its exterior paint and interior trim in excellent condition. The cars chrome is faded and pitted in a few sections but in good condition throughout. The car runs strong and shifts smoothly. 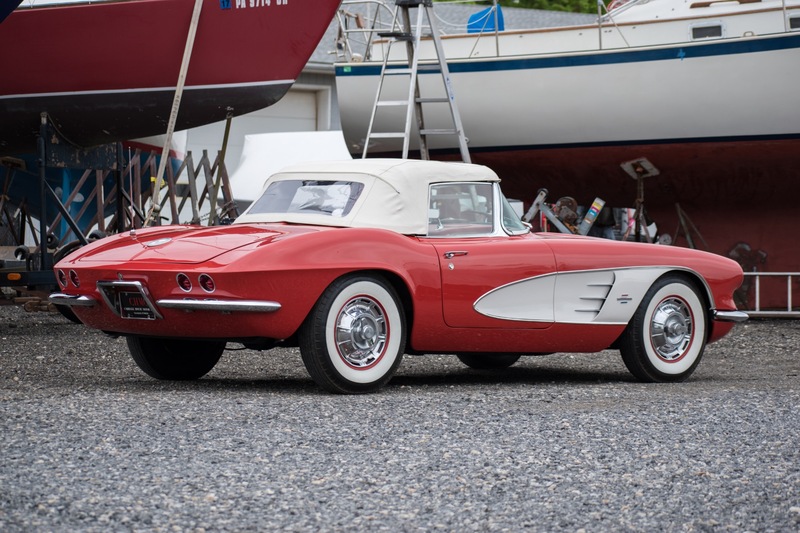 This is a top notch Corvette and is ready for beach cruising or long weekend drives.